It’s bedtime, but just as Spot is about to go to sleep, he realises that Teddy is missing. Spot and his mum search his toy box, the living room and even under his bed. But, where is Teddy? 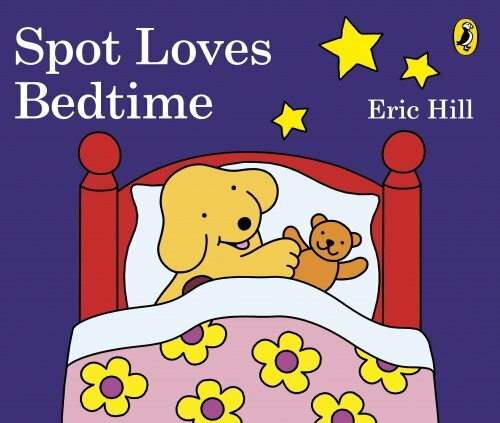 Spot Loves Bedtime is a lovely story to help children settle down for bed. There are many opportunities for children to label everyday objects and toys through the clear and engaging illustrations. This book is also useful for targeting ‘where’ questions and prepositions such as in, on, under and next to. Look carefully, and you’ll see Teddy has been hiding in the same spot since the beginning of the story. For further speech and language targets in Spot Loves Bedtime, see the list below.